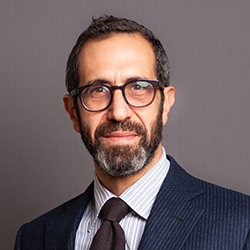 Pierre-Alain Bouhenic is a Partner in Brown Rudnick’s Restructuring Department, practicing from the firm’s Paris office. Pierre-Alain represents companies, shareholders, creditors and investors on a wide range of legal and judicial procedures, operations in corporate reorganization as well as restructuring operations. He has developed extensive experience advising distressed companies, from protective measures to insolvency proceedings and funds in their takeover operations His practice also concerns pre-litigation and litigation in acquisition or post-acquisition issues including challenged transactions, representations and warranties. Pierre-Alain studied at the University of Paris I Pantheon-Sorbonne and the University of Paris X Nanterre. Counsel to a private equity investor in connection with the acquisition of the leader of the leader in electronic device facing financial difficulties. Counsel to a local newspaper group in the acquisition and of controlling stake (97.14%) in another press group held by a major daily press group. This acquisition is part of the debt restructuring of this daily press.